NHS England has outlined its strong position towards accreditation of diagnostic services by publishing a position statement. It remains committed to, and strongly endorses participation of diagnostic services in the ISAS, IQIPS, and Medical Laboratory accreditation programmes. 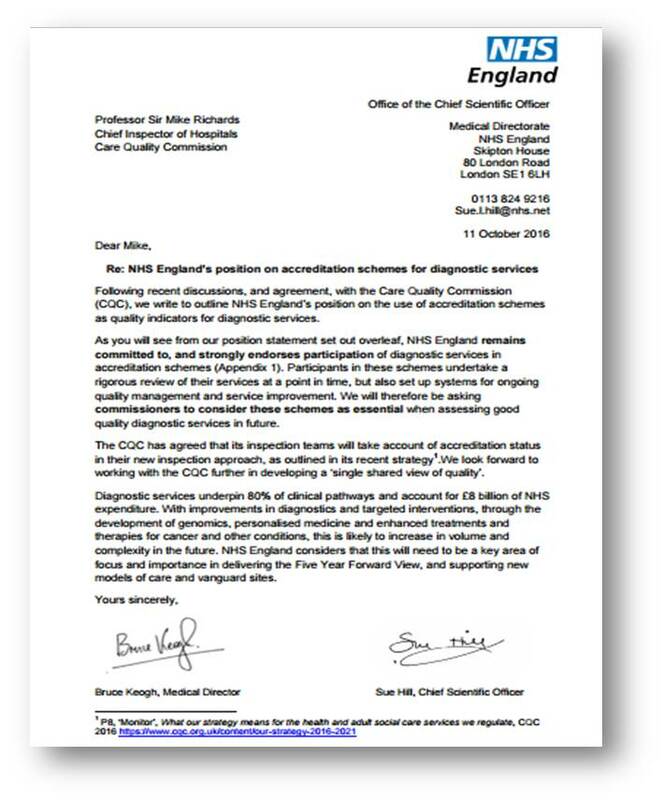 NHS England confirms that the CQC has agreed that its inspection teams will take account of accreditation status in their new inspection approach, and that they will also be asking commissioners to consider these schemes as essential when assessing good quality diagnostic services in future. A copy of the position statement can be viewed on the NHS England website.